Cylindrical block with outer diameter of approx.150mm contains a testing block made of aluminum with outer diameter 100mm approx. Neck type heating elements fitted in side. Outer body made of mild steel with heat resistant powder coated paint. Different material acts differently when subjected to various conditions of temperature and air changing conditions. The samples tend to expand, shrink, crack, deform or exple fumes etc depending on their properties and conditions they are subjected to.This group of instruments are designed to study the effect of heat / cold and air changes on samples under standardized conditions. I R Technology Services Pvt. Ltd. Differential thermal analysis is a simple but powerful thermo analytical technique which can be employed to study the variety of physical and chemical transformations in materials subjected to programmed heating in controlled ambient gaseous environment. 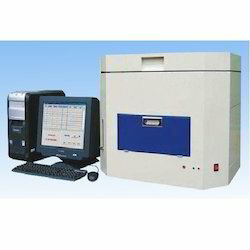 Temperature programmed desorption (TPD) Analyzer. 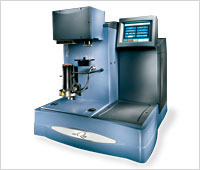 Designed to detect a specific impurity in a binary gas mixture, the 212R is also well suited for monitoring one component in more complex mixtures where the other gases have the same ratio to each other or have similar thermal conductivity coefficients. Thanks to its modular design, the DSC 1 as part of the METTLER TOLEDO Thermal Analysis Excellence Line is the best choice for manual or automatic operation, from quality assurance and production through to research and development.